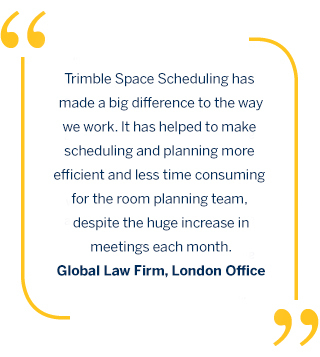 Trimble Space Scheduling transforms room & desk booking with an end-to-end cloud hosted software solution that optimizes the utilization and management of all conference rooms, workspaces and associated services. 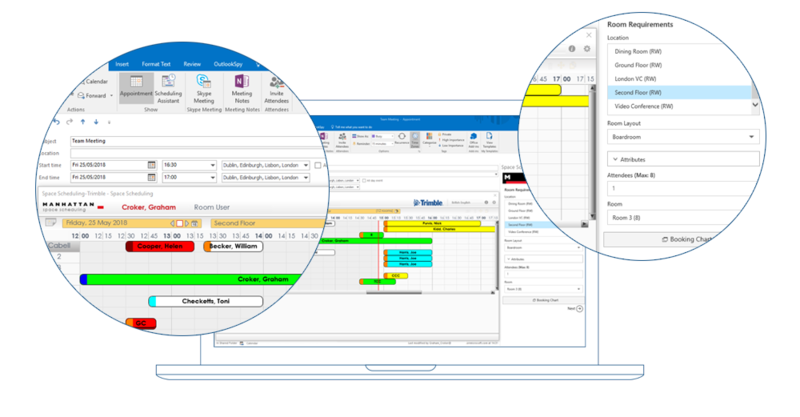 Version 1.16 delivers several exciting new features designed to provide Room Managers, End Users, PAs, Service Providers and Receptionists with additional configuration, integration and mobile enhancements. A new email configuration applet enables you to tailor the content of your emails, and includes new features like configurable email headers and footers that can be set at all levels down to collections, as well as a range of new fields that can be included. An entirely new Booking Chart view has been added to empower users - offering them the chance to see room availability around the time of their appointment, making it easier to select a time when both the room and the people are available. A new “Use Now” function has been added to LiveSign Pro that give users a swift, two-touch to book capability - ideal for those impromptu short meetings, and enables better tracking of the room occupancy. Enhancements to support individual cleanup tasks per provider as well the ability for each provider to choose whether or not they require cleanup taskings. Also includes an extended workflow to allow each provider to drive different post-cleanup status changes. You can now control the preferred Booking Chart layout centrally, and even lock it down so to ensure standardization across the user base. Bookings that have returned to the Request List for reapproval of a change are now highlighted in a different colour to aid prioritization by the reservations team. Floorplan removal has been made simpler with the addition of a dedicated function button for that purpose. Where you do not use cost and/or client codes, these fields can also now be suppressed from the “miscellaneous” booking views to avoid confusion. Full support for closures applied in Space Scheduling has been extended from the Office 365 integration into the COM-Plugin integration, meaning clients using older versions of Outlook/Exchange can also benefit from the feature. Where clients do not use cost and/or client codes, these fields can now be suppressed from the Calendar integration room booking views to avoid confusion. A new logo upload feature has been added for clients to customize their Mobile interface. 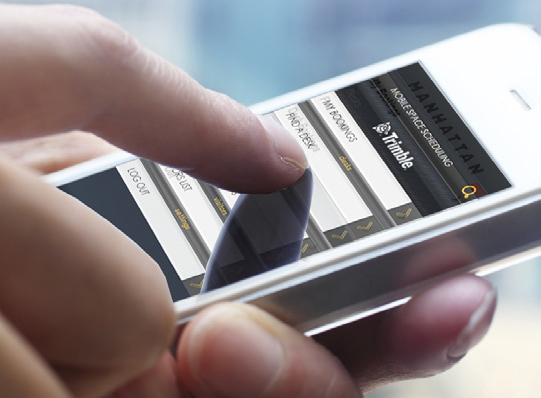 The Mobile interface is now even more responsive to the users’ permissions, only offering menu options that relate to their capabilities within the system, giving the benefit of a targeted and tailored interface for each user. Recognizing that some firms prefer not to display the title of the meeting in public areas, a new setting enables the client to control this at at central, regional, floor or even panel basis. Equally, for some meeting rooms it is preferable not to show the host name. A new setting allows you to choose how you wish your LiveSign Pro panels to display this. If clients do not need to log who is booking the room from the LiveSign Pro panel, another new setting means this requires authentication as normal, or will book the room for a specified account. This makes on-the-fly bookings even quicker, and provides a deeper insight into how many ad-hoc bookings get made at the room itself. For clients wishing to promote check-in/out of meetings, but also prefer not to allow users to book from the room panel, another new setting gives that flexibility too. All of these settings can be applied as a whole, by room collection or floor and even down to individual panels, giving the customer the flexibility needed to support a multi-use environment. 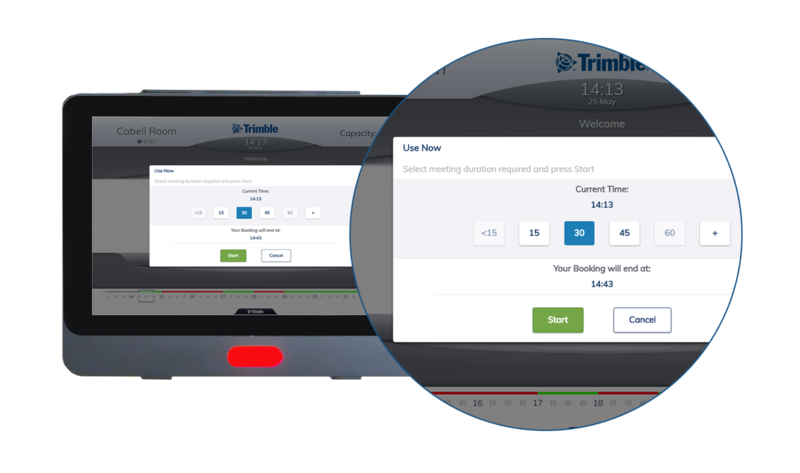 Naturally all of the settings can be deployed to the LiveSign Pro units remotely too. For more information or to book a demo please contact us via our online form.